December 1-3, 2015 on Pensacola Beach Class Starts at 0730 on Tuesday December 1 and Ends late Thursday December 3. You should plan on arriving Monday and leaving on Friday. There will be a HUGE Firefighter Party Thursday night. Time is Running Out on the $250 registration and the conference is filling FAST! The Hotel is also running out of rooms. The $89 rooms are gone, but you can still get rooms for under $100. The last two years SOLD OUT!! Free Shuttle to and from the Pensacola International Airport on Monday and Friday. There WILL NOT be a shuttle for Thursday afternoon/evening. Rooms less than $100 at the Host Hotel/Convention Center. Free Beer every night with some FREE FOOD/Dinner. This year will also offer some Heavy Rescue Operations and The Nozzle Forward Program. Socials for all attendees each night of conference and morning walks/runs to start the day. We will flow WATER off the 18th Floor of an occupied Hotel. Where else can you do that? You will Hook Up, Go Up, Stretch down a hallway and through a condo suite. $300 before the end of May. Ray McComack, Mike Lombardo, Mike Ciampo, Bob Morris, Jerry Tracy, Bob Hoff, Rick Kolomay, Dave McGrail, Kevin Story, Bill Gustin, Gabe Angemi, Jim Crawford, Paulie Capo, Curt Isakson, Ed Farly, Jim Ellis, Josh Materi, Nozzle Forward group and many more. SEARCHING WITHOUT A LINE: WHAT WOULD YOU DO? 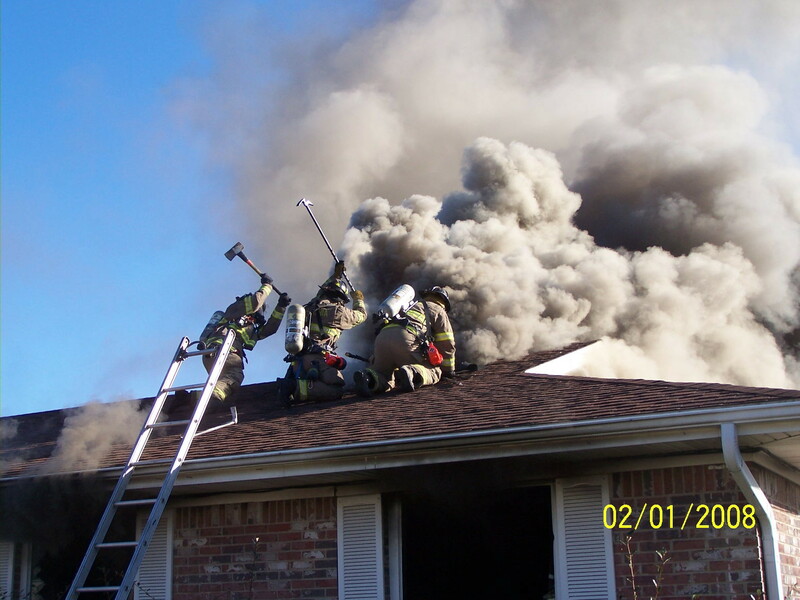 Risk analysis models influence much of the fireground decision making in the fire service today. But at times we are called to go against these models, act against the odds. The results of such actions are sometimes tragic and sometimes successful. Regardless of the outcome, the fire service must remember that we are a human service, and a standard set of rules or guidelines cannot always dictate the actions of the firefighters who serve the public. On the evening of January 29, 1998, at approximately 6:30 p.m., a full first-alarm assignment was dispatched to a report of a fire on Townsend Street in Buffalo, New York. 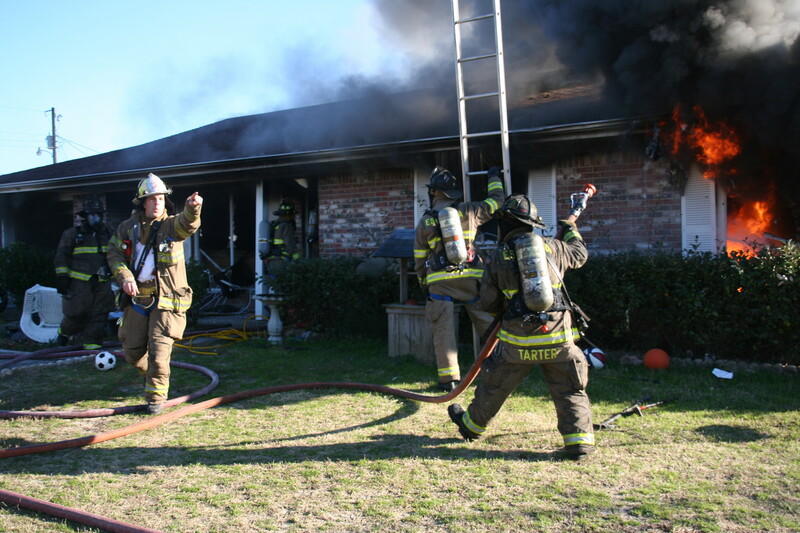 The assignment consisted of three engine companies, two truck companies, a rescue company, and a battalion chief. 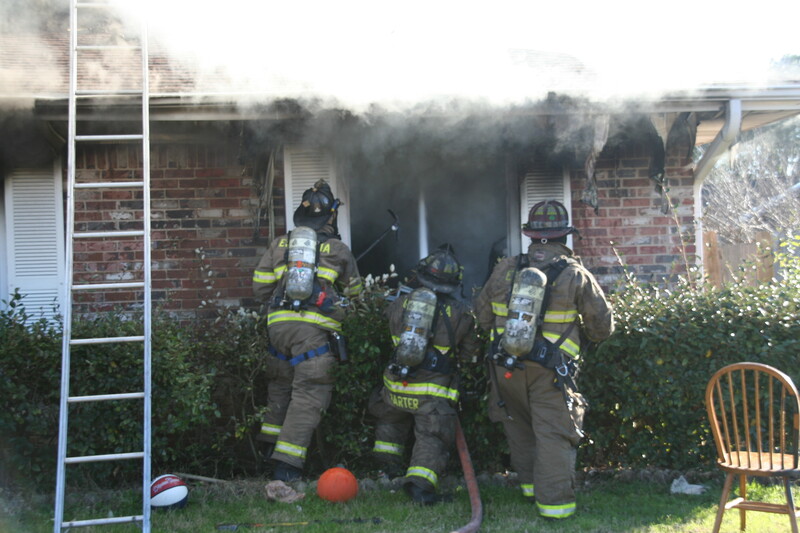 Truck 11 arrived right behind Battalion 3; the fire was only two blocks from the unit`s quarters. It is a single unit stationed only with the chief; it carries no water and was staffed that evening with five firefighters and an officer. On arrival, the fire was observed venting from two doors and two windows on the number 4 side, from the first-floor rear apartment of this two-story wood-frame dwelling. With very heavy fire venting from every opening on the number 4 side of the building except one and no engine company yet on location, the prudent decision would have been to await the arrival of an engine and the stretching of a line. However, there were also a frantic mother and father screaming that one of their children was not yet out of the apartment. Battalion Chief Tom McNaughton also relayed to us that a child was indeed inside the building. He requested that we attempt to enter and search for the child. There were no openings on the number 3 side of the structure, and windows on the number 2 side were immediately inaccessible by security bars (doors to the apartment were on the number 4 side). I made the decision to enter the only remaining window into the apartment that was not venting fire. Heavy smoke pushed from the window. Firefighters Tom Jackson and Chuck Sardo and I entered the window into a bathroom. There was a high heat condition in this room. Ahead was a small hallway, where fire was rolling across the ceiling. Jackson crawled through the hallway and into the kitchen. Conditions were worsening rapidly. Fire was heavy in the kitchen. Jackson traveled through the kitchen, with Sardo following. I tried to protect them as much as possible with the water can. Then Jackson entered a small bedroom off the kitchen. He searched a set of bunk beds in this room, with negative results. He came to a pile of clothes in front of the bedroom closet. He found a two-year-old boy. The bedroom window was barred, providing no exit. Jackson rushed the baby out of the room and almost became trapped in the tiny space at the beginning of the hall between the kitchen sink and hallway wall, which measured less than 18 inches. His helmet was dislodged halfway off his head. He handed the baby to Sardo, who handed the child to me, and I passed him outside to firefighters. The child was in cardiac arrest, and the firefighters performed CPR as they rushed him to a waiting ambulance. Meanwhile, I used the water can to protect Jackson and Sardo as they made their way forward to the bathroom. It did not extinguish much fire but slowed its progress. I ascertained from Chief McNaughton that this was the only person reported to be in the structure, and we exited the structure. Engine 3`s crew had advanced a line into the building by this time and pushed into the apartment, quickly controlling the fire. There was tremendous heat in the bathroom, where our team entered. The tub surround had melted into the bathtub, and a medicine cabinet had melted off the wall. Firefighter Jackson received minor burns to his head when his helmet was dislodged in the hallway. These types of conditions normally would indicate that entry should not be made without a handline. However, with reliable reports such as those given that evening by the child`s family, an attempt must be made to enter and search. If a handline had been immediately available, it still may not have guaranteed success; it most likely would have been advanced in through the apartment door, and crews would have had to delay the search while this line was advanced. About two months after this fire, a man and woman walked into the quarters of Truck 11. With them was their son, Elijah, the boy rescued from the fire. The child had a fairly large burn on his head that was still healing, but otherwise he was in great shape. If his parents were asked about the firefighting risk vs. benefit of the rescue of their child, there is no question what their answer would be. And with the successful rescue of the baby, I am sure that the collective fire service voice is in agreement. At the time we entered, Elijah Hall`s life was in the balance, and the duration of that life would be decided within the next few seconds. Decisions such as the one made on Townsend Street are not made by a computer or in a classroom with time to ponder. They are made in a split second and often without complete information. 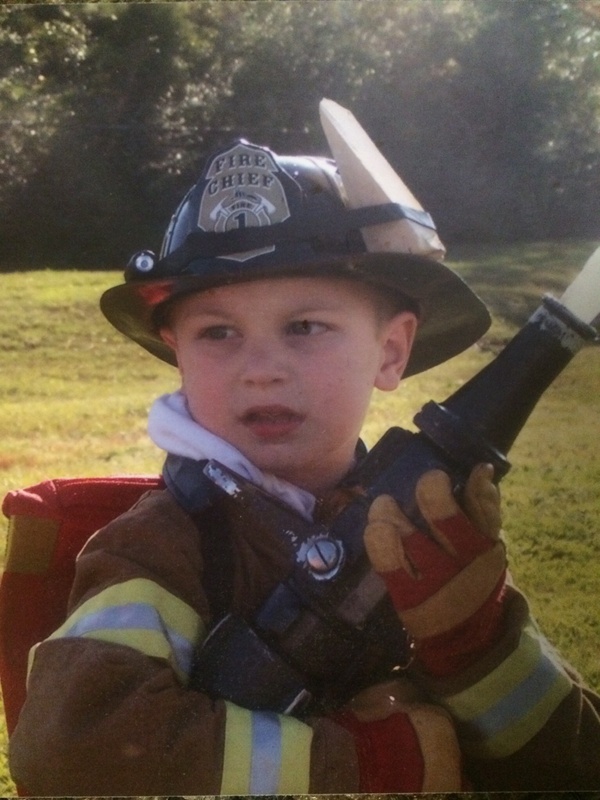 Elijah Hall`s life was saved primarily by the actions of Firefighter Tom Jackson, but also in part by all the members of the team of firefighters who responded that evening. He was saved because Tom–with his training and experience and his team behind him, fully recognizing the risk–“went out and did what he had to do.” And that`s the essence of the fire service. Can I be honest? I think any time you discuss maintaining proper life and work balance it can become intensely personal quick. But I also think this is one of the most important things we need to talk about. I’m hoping if I go ﬁrst, then maybe you’ll keep your defenses lowered and allow this to soak in. If our personal lives are the exposures on our ﬁregrounds, then it does nothing to have a great career (ﬁre attack) if we let it all burn down around us. I’m a husband and a father who is spoiled by three incredible and beautiful ladies who love me very much. But my home life and work are out of balance and its causing conﬂict with my family…I’ve confused leaving a legacy at work with having impact. I’m a ﬁre ofﬁcer and I have to have hard talks with people at time who are in crappy situations (sometimes personal or professional and a result of something they caused; other times its thru no fault of their own). Sometimes I get the message right and everyone beneﬁts. Other times the situation is messy or rushed and perhaps my advice or opinion is just wrong for what’s happening. I read the situation wrong, missed the full context, simply lacked experience, or someone else with more inﬂuence made the situation worse with their advice. If I’m really being honest, you should know that I’m your typical Type A, motivated, passionately driven, stubborn, thinks he knows it all ﬁreman (and I admittedly don’t—yes I can admit it). I consider myself to have more wins than losses, but I do try new things, and old things in different ways in the name of perfecting our “craft”. And from time to time I get “it” wrong. Those of us who care about the ﬁre service tend to share the same values. We work and train hard to create and maintain a reputation in which we are credible, trustworthy, and competent to pass the job on. We hope we are “one of the good ones” (in whatever role or rank that might be). We want to be a person people will consider a positive role model, want to work with, and reach out to when help is needed. To achieve this we spend countless hours away from home in training classes and attending conferences. The very nature of the job will cause us to miss holidays, birthdays, and other important events in our family’s lives in the name of work. We’ll put in 25 years and hope to retire happy, healthy, and with someone who cares about us. For all this hard work maybe they will name a sports arena, conference, or courage award after us! Probably not, and unfortunately more likely some of us will inadvertently sacriﬁce our marriages, or strain relationships beyond repair with the ones that truly matter, like our children. We will miss lunches at schools with our kids, and reading books before bedtime. I think you are starting to see the picture I’m trying to paint. Can you picture someone like me that works in your department? Here’s a hint, if you’re reading this, try looking in the mirror. Chances are if you care about the ﬁre service and your role in it, we have a lot in common including our professional values. We would probably get along really well, and have a lot of fun training and working together. pending. When the ambulance shifts became 24 hours you can imagine there was very little sleep to be had for those individuals as well. This marked a signiﬁcant increase in calls for service and obviously changed the ﬁre service forever. Today’s parallel is shared by our brothers and sisters who maintain their assignments at core busy stations, where an opportunity for a solid three hour block of sleep is a treat, not the norm. Fast forward to today. We recently concluded a project at work that I worked on with a group for over 16 months. Most nights at the station I would retreat to the ofﬁcer’s bunk around ten in the evening and then work another three to four hours to make sure I was meeting deadline. I did this while at a core busy station and I averaged two hours of sleep a night. I came home exhausted and if I wasn’t working part time I would often nap the next day and miss spending mornings with my kids. When I was awake, I acted like a robot just sitting there until I would snap at them and even my wife because I was so tired. Do you know this kind of tired? When I would talk, it was usually about work or I was on the phone with someone about work. Have you ever had to have a meeting during the summer that interrupted family outings or prevented vacations? I’m sure you’ve never received a phone call from people needing information while you are trying to put the children to bed or eat dinner. All in the name of meeting a deadline. As I sat there pouring over the project drafts, I kept reminding myself that the work the group was doing was one of many paramount to the future success of our department. I might have even said “they’ll remember us for this”. The project work often followed me home and after several hundred hours invested—we were done. I bet the people who worked to get that ﬁrst ambulance in service might have said something similar— “This is important to the department….they’ll remember us for this….this is our legacy.” And in these last few words I see the problem. Would you like to know the names of these folks who sacriﬁced themselves to get that ambulance in-service? I can’t tell you. I can’t even tell you the exact year or ﬁrehouse where it occurred. It’s not that I don’t appreciate their sacriﬁce and professionalism. I love learning about the history of ours and the ﬁre service. It’s just over thirty years later after the ﬁrst EMS call, we run so many it just fades into the background. I’m responsible for knowing so much about so many different things and there simply isn’t enough time in the day to value or pay attention to everything. legacy. We will sit around one day and watch home videos and joke about how much more hair Daddy had back then. We won’t sit around and talk about the project that Daddy worked on for 16 months. And the reality is that in another 10 years, no one else in my organization will either. It will more than likely be redrafted and improved upon by the next “go-getters” of the organization. My role in the ﬁre service is to have a positive impact at work—do a great job, have fun, and empower the next generation of ﬁreﬁghters and leaders. My legacy is always growing at home with my wife and children and ultimately is determined by their success. They should receive the bulk of my time, attention, and investment. We sink a ton of time into developing our teams and ourselves at work, but are we doing the same at home? If you read a ﬁre service book, do you read one on marriage or parenting? If you travel for a ﬁre conference, do you attend a marriage retreat or take a family vacation? Like a see-saw, it is difﬁcult to maintain balance, and we will have ups and downs in the process. Quite simply, if you feel overwhelmed chances are, you are either out of balance or quickly headed that way. To borrow from the ﬁre service, you should maintain a manageable “span of control”: 3-7 life priorities with an optimal of 5. Your signiﬁcant other and children should each occupy a priority. If you have children with multiple sports or clubs that split your family into different directions and make it hard to eat family meals together, then that occupies a third priority. If you are not currently in a relationship (either divorced or not dating), make sure you keep a slot reserved for meeting new folks. We were not made to be alone, and you shouldn’t let work prevent you from having a social life and ﬁnding people that add value and meaning to your life. So that leaves us potentially only 2-4 more available priorities. If you are a leader at work, then your team is a priority. If you have a rookie, guess what, his or her development needs to be an additional priority (and rightfully so). This is your largest chance to create lasting impact: provide a positive inﬂuence while they learn the culture of the ﬁre service. Your own development, especially as leadership, is also a priority. Spend time reading, attending classes (in moderation), listening to leadership and training podcasts—making yourself a better leader beneﬁts your team. So before we have added the ﬁrst “special project” we have almost exceeded our span of control. Make sure you always have at least one slot available for emergencies such as a family death, mental health crisis, or illness such as cancer. It’s like having a rapid intervention team for our personal life. I’m not preaching don’t fall in love with the ﬁre service. Just know that she can only love you but so much back, and is very ﬁckle when she does. There is a season for everything, and being a young ofﬁcer with young children is currently my struggle. I’ve worked over the last two years to honor current commitments but also to not take on any others that might distract from my goal at work, which is to create value and opportunity for the team everyday. This is an on-going process and I’m not perfect in it. I’ve set my sights on making a change where home is the priority, and I work hard while at work, but leave it there. I wish you the best success in your career, and hope to see and hear from you on the road to recovering balance between life and work. If there is anything I can do to help or offer advice, please feel free to contact me at mar91@henrico.us. Benjamin Martin is a lieutenant with the Henrico County Division of Fire (Va) and an 11-year veteran of emergency services. He is a graduate of and former Deputy Curriculum Chief with The Virginia Fire Ofﬁcers Academy. He focuses on empowering aspiring leadership ahead of promotion. He is equally passionate about supporting and promoting resiliency in existing leadership. He has two bachelor’s degrees in Allied-Health (Pre-Med) and Fire Science and is currently working on a Master’s in Public Administration. This was posted over three years ago.